As part of Visioncleans new Ecoclean services, we have launched our Eco Challenge to help people change their approach to cleaning. The first thing most people assume, when you mention environmentally friendly cleaning, is that it will cost them far too much to consider. So the Eco Challenge is our way of showing people how with Visionclean Eco this doesn’t have to be the case. When we visit your premises we will do a comparison of costs, comparing conventional chemical cleaning products and methods with safer Environmentally Friendly cleaning products and methods. 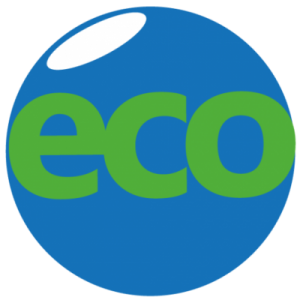 The people who have taken the Eco Challenge so far have been extremely surprised and pleased, even when comparing us with their existing providers. Finally, as part of the Challenge, we will also be giving discount for the first three month, if you sign for Ecoclean for a two year contract. Vision Clean’s new website forms part of the companies forward thinking and dynamic strategy to develop in to one of the largest regional cleaning companies in the UK. With our focus on building staff relationships to enable continuity and reliability with our existing customers but also to ensure a good quality working environment for our staff, we are introducing a unique section on cleaning company websites, Staff Testimonials of those people that work for us and feel they are part of our team are looked after and have asked if they can tell the world what they think. We are pleased to do this as it demonstrates our relationship with the businesses most valuable assets. This whole development leads Vision Clean towards its 10th anniversary in 2017, and will form a part of our overall strategy to grow the company dramatically over the next couple of years and onwards. The full new website will be relaunched in November 2016. After nine years of developing Vision Clean, we are not only established but growing rapidly and to demonstrate that we have begun the process of re-branding the business to demonstrate the young and dynamic team that are committed to our growth. 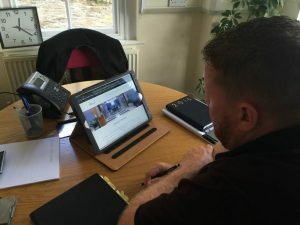 With the launch of the new website at the start of May, Vision Clean is broadening the ways we communicate with our customers, potential customers and staff. For the last few years we have successfully employed Facebook as a medium to recruit new staff. Now we intend to develop a range of other social media to take this a step further. We believe in making it as easy as possible for customers to know what Vision does and can offer them, as well as making it as straight forward to contact us. So we will be utilizing Twitter, and LinkedIn to begin this process. So watch this space.